BlackBerry 8110 introduced in Hong Kong | BlackBerry Blast! 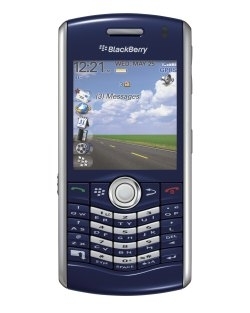 RIM has introduced the ultra sleek BlackBerry® Pearl™ 8110 smartphone in Hong Kong. Designed for people who want to make the most of their work and personal lives, the BlackBerry Pearl 8110 comes with built-in GPS (Global Positioning System), rich multimedia features, powerful communications capabilities and the exceptional user experience that people love about BlackBerry® smartphones. Featuring an elegant black finish, the small and stylish BlackBerry Pearl 8110 smartphone is an extraordinary lifestyle tool that makes it easier for business professionals and consumers on the move to make calls, email, surf the net, take and send photographs, listen to music, watch and record videos and access their organiser as well as a range of business and leisure applications for both work and play.